Name on 2 Lines (as shown)? 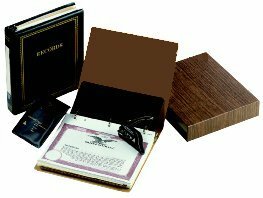 Kits Include: Free shipping of blank or personalized binders, stock or membership certificates (30% PCW), complete stock transfer ledger or membership ledger, plain minute paper or printed minutes (30% PCW) and bylaws, embossing seal, special forms and documents, and index dividers (30% PCW). Order by 2:30 PM ET for same day shipping.